A new report from the University of Washington’s Tech Policy Lab and the Mobility Innovation Center touts the need for readiness and tackles the costs and benefits of automated vehicles (AVs). Automated vehicles are coming to Seattle, and now is the time for government officials to prepare for them. 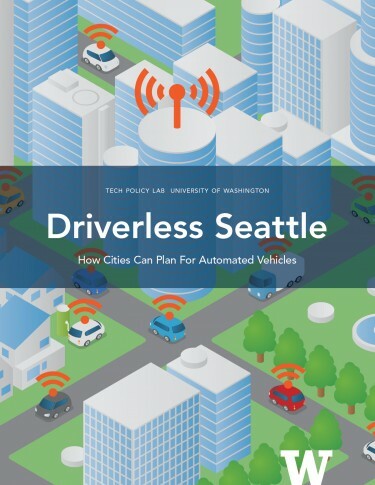 So say the authors of “Driverless Seattle: How Cities Can Plan for Automated Vehicles,” a new report from the Tech Policy Lab at the University of Washington, put together in partnership with Challenge Seattle, a private sector initiative led by regional CEOs, and the Mobility Innovation Center at the University of Washington. At their best, AVs promote traffic efficiency – especially important in Seattle, whose evening rush hour congestion is among the most in the nation. They reduce the number of vehicle crashes caused by human error, and mitigate human inefficiencies in the flow of traffic. They encourage ride-sharing rather than individual vehicle ownership. Moreover, they are already here: the Tesla Model S Autopilot system is available for purchase; the ride-share company Uber is testing AVs in Pittsburgh; and Google’s AV fleet has already driven nearly two million miles autonomously. But how will Seattle integrate AVs more broadly into its complex transportation and legal landscapes? The key, claims Ryan Calo, a law professor and one of the report’s authors, is for the city to identify an AV strategy that will guide policymakers’ decision-making processes, and initiate coalition building with regional research institutions, public agencies, NGOs, and businesses. Seattle faces a difficult question. Will the city enthusiastically promote itself as an AV innovation hub? Or will we take a more hands-off approach? Alternatively, will we put strict limits on AV use until the technology has proved itself in other municipalities? And what does each option mean from a policy standpoint? “Driverless Seattle” is the first product to come from the Mobility Innovation Center (MIC), which launched in March of 2016. 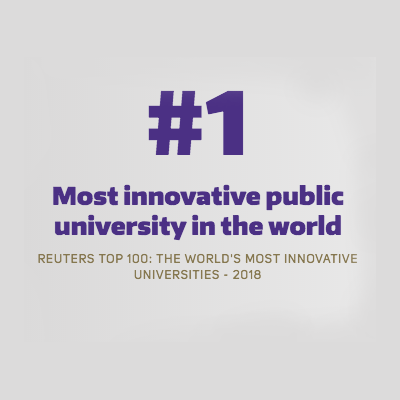 A multi-disciplinary project housed at CoMotion at the University of Washington, the MIC brings together the Puget Sound region’s leading business, government, and academic sectors to use technology and innovation to find transportation solutions.